World Trade Center Downtown Restoration Program - MAST Construction Services, Inc.
MAST’s responsibilities for this comprehensive redevelopment in Downtown Manhattan include facilitating communications to identify and solve project interface issues for the rebuilding of the $19 Billion, 16-acre World Trade Center site, specifically, the Freedom Tower, WTC Memorial, Memorial Museum, Transportation Hub and Retail Component. 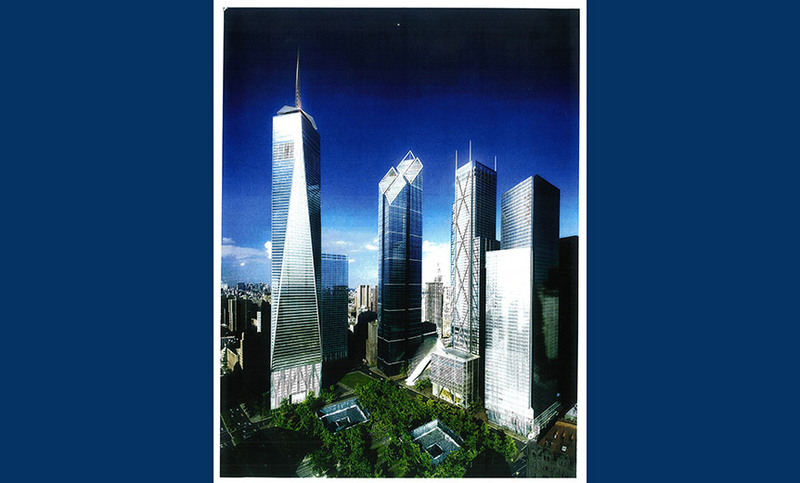 The WTC Memorial and Memorial Museum will incorporate the box beam footprints of the original WTC North and South Towers and the construction of the 1,776 foot tall ,104 story, 3 million SF One World Trade Center, formerly known as the Freedom Tower. Construction of this high-rise tower has a completion date targeted for 2013. Steel and concrete work below grade has been completed along with framing of the podium. Construction is proceeding on the office level above the podium at a rapid pace of approximately one floor per week. Topping out of the steel frame at the 1368 foot level is scheduled for fall 2011. The complex infrastructure involves the construction of a new Port Authority Trans-Hudson Terminal, which will feature 10-car platforms, updated signal systems, fare collection equipment, and new lighting and finishes, and provide intermodal connections to a variety of subway lines, other modes of transportation and connections to surrounding buildings.